To feature the talents of other artists and gain their unique perspectives has long been the motivation behind a lot of what is posted on Editing Luke. To encourage interaction, involvement, and feedback is vital, and I can think of no better way to do this than to allow other motivated filmmakers to share their views in their own words. 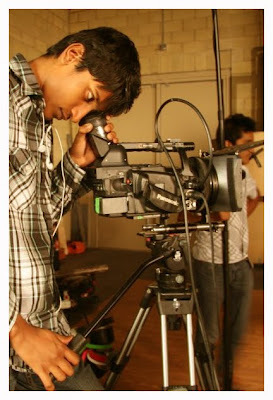 I first came to know Bhaveek through the Yobi.tv Film Contest in early 2009. He had submitted a video project that also became voted through to the semi-finals, and it was there that I got a glimpse of some of his work. Through a series of casual comments on each others videos and over facebook, I came to appreciate his ambition in making himself known to others throughout the contest. At 18 years old, Bhaveek is just at the beginning of his prospective career in filmmaking and I for one am excited to see where his story will go next. 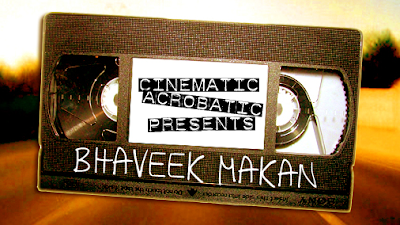 Loyal viewers, Cinematic Acrobatic Presents: Bhaveek Makan. 1. Who is Bhaveek Makan? I'm a South African born 'brown guy' who loves skateboarding/snowboarding and of course . . . filmmaking. See Bhaveek and Jashan Makan's YouTube channel for Rendering Glint Films here. View the Rendering Glint Films blog here. 2. What is it about movie-making that interests you most? Post production like editing is the most interesting part of filmmaking to me. I don't think its as IMPORTANT as the other aspects like scripting/storyboarding(since these elements are vital for editing to even take place) but it is obviously great to see something so simple be put together in the way you imagined the film to be. 3. Passion, Creativity, Drive - choose one. I pick creativity. Without creativity, there is no passion, thus no drive. When being creative with something, passion comes automatically. 4. If you had to choose a single project you've done or participated in that best reflects your individual style, which would it be and why? Probably my film "Eat Ghee" since it really shows a true exaggeration of an Indian boy facing new challenges in a new country. It made me more interested in my own culture as before I made this film. I watched countless amounts of Indian Soap operas and Bollywood movies so I can get a sense of style. 5. Is there a unifying message to the movies you like to make, or is every project a fresh start? Most my films are never serious. But if they are, there is no "in your face message"...its mostly subtle. SO a fresh start for each project. I like all my films to be insanely different. 6. What is the best piece of advice you've been given or come across? Best advice would be "avoid shoe leather". Shoe leather meaning if I had to show someone getting from point A to B, I don't show his/hers every move to get there. I found this interesting as most my older films had this which makes things super boring and long. 7. In a utopian world, what would you like to achieve with your work or what would you like it to say about you individually? I would like to hope that one day, my work is shown to the world. I would want my own Indian community to appreciate my work as well...because most Indians have really the same jobs: Engineer; Doctor; etc. I want to let my people know that there are so many other things out in the world that can be considered as a job. I would want to be known as someone who loves filmmaking.